In his most recent book, the critically acclaimed 2014 memoir The Splendid Things We Planned, literary biographer Blake Bailey, chose to probe a subject much closer to home than the distinguished American authors who are his normal quarry. Yet parallels exist between his upbringing and family, and his typical subjects - famous American authors like Richard Yates, John Cheever and Charles Jackson. From the upper-middle class suburban setting, to the struggles with drugs and alcohol, depression and conflict, Bailey’s memoir shares many of the themes of the autobiographies he normally writes. An Oklahoma native, Bailey attended Tulane University before obtaining his Masters in English at the University of New Orleans in 1998. While in New Orleans, he taught gifted eighth-graders at a magnet school and wrote. After publishing a long critical profile of Richard Yates, Bailey contracted to write a full-length biography of the novelist, A Tragic Honesty: The Life and Work of Richard Yates (2003), which was a finalist for the National Book Critics Circle Award. His work helped resurrect interest in Yates, the author of Revolutionary Road. 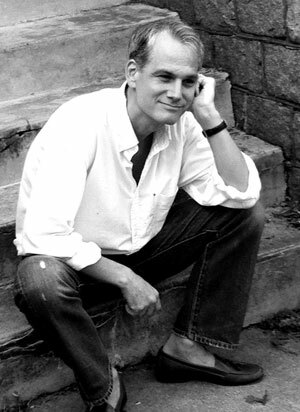 In 2005, Bailey was awarded a Guggenheim Fellowship to work on his biography, Cheever: A Life, which won the 2009 National Book Critics Circle Award and the Francis Parkman Prize, and was a finalist for the Pulitzer and the James Tait Black Memorial Prize, and was a New York Times Notable Book of the year. Bailey also edited a two-volume edition of Cheever's work for the Library of America. In 2010, he received an Academy Award in Literature from the American Academy of Arts and Letters. That year he also served as a judge for the National Book Award in Nonfiction, and, in 2012, for the PEN/Jacqueline Bograd Weld Award for Biography. In 2012, author Philip Roth announced that Bailey would write his authorized biography and that he would grant Bailey exclusive access to papers, friends and family, and to make himself available for extensive interviews. In 2013, Bailey published his biography of the novelist Charles Jackson, Farther & Wilder: The Lost Weekends and Literary Dreams of Charles Jackson, which was soon followed by his memoir. Bailey’s articles and reviews have appeared in Vanity Fair, Slate, New York Times, Wall Street Journal, New York Observer, The Believer, Vice, Spy, Virginia Quarterly Review, Harvard Review, and elsewhere. Bailey and his wife have one daughter and live in Norfolk, Virginia where, in addition to writing, he is currently the Mina Hohenberg Darden Professor of Creative Writing at Old Dominion.